To me, the best email subject lines have a certain art to them. Do you ever just sit back in awe and watch an amazing artist go to work? It’s almost as if they improvised the whole thing. But even when looking at the most boundless and imaginative artists, that person likely developed a system or structure to help them create their masterpieces. 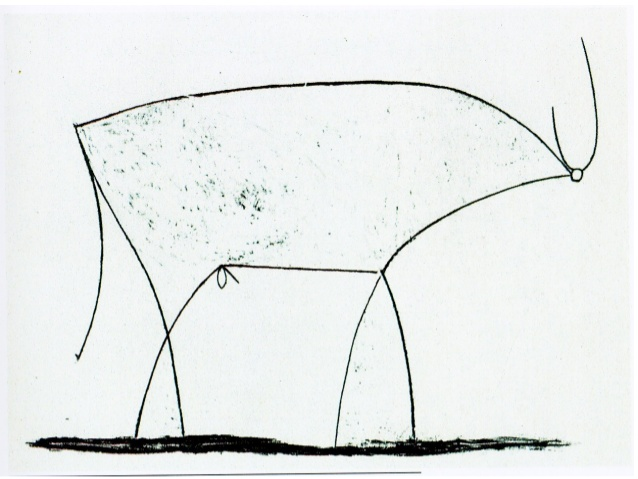 For example, Pablo Picasso demonstrated it to the public with his piece on the bull. 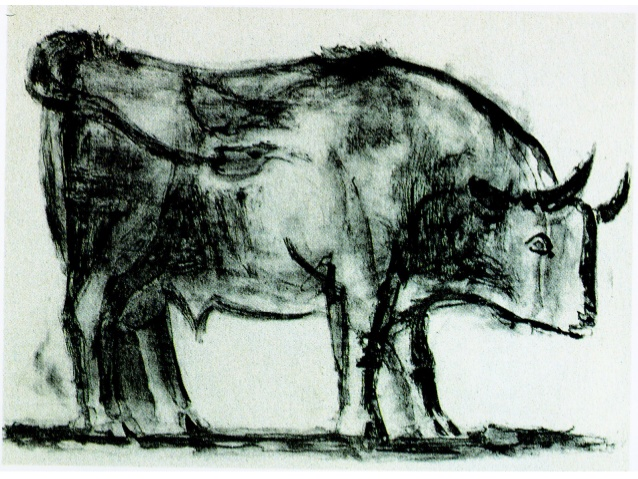 In this piece, he goes through a step-by-step process as he uncovers the “bull’s essence." I’m no Picasso, but in my work on hundreds of campaigns for Persado’s clients, I’ve learned what a good subject line looks like and I’m going to show you how to do the same. And let’s be clear: This is NOT going to be something that’s merely based on opinions. Instead, you are going to see data-tested strategies that are working right now for seven Fortune 100 companies. A key to writing effective marketing messages that gets responses is to evoke emotion. If you are a reader of our blog, this isn't the first time that you’ve heard of this, and it certainly won't be the last. According to Persado data, emotion contributes up to 62.79% of the impact to opens for subject lines. To put that into perspective, descriptive language (different ways of describing the product or offer) has an 18.18% contribution to getting someone to open up an email. Yes, that means your special offer of 20% off isn’t the biggest reason people are clicking. Don’t just gloss over this part, it’s a big deal! The best messages include both an emotional appeal and useful or compelling information, Persado research has found. These tips will provide you with a good baseline. Start with an attention-grabber: A tone-setting word or phrase that prefaces or complements the rest of your subject line. Copywriting legend Joe Sugarman was a huge proponent of this. For him, the sole purpose of the first sentence in an advertisement is to get you to read the second sentence. The way to do this is to keep that sentence short, yet intriguing. And according to our research, using one of these short phrases makes a big impact in getting your subject lines clicked and opened. Use emotion to tie into your product: Because emotional language is so important, you want a discrete appeal to emotion that frames the descriptive content. How do you want them to feel about this product that they just came across? Do you want them to feel anxious that they can be missing out on something? Or do you want them to feel excitement? Step 1 – What is Your Email Selling? Fresh Aesthetic is selling patio furniture, specifically sofas at 15% off to kick off the summer season. The brand is known for its modern designs, however, this year they will be unveiling a new line of sofas that are built to be cozier than previous editions. The words sale, deal, discount, markdowns, or anything similar to these. All of these would be considered as descriptive language when it comes to patio sofas: Weather-resistant, eco-friendly, cozy, built for comfort, long-lasting, highly detailed. That said, let’s get into using emotion to tie into our product. We know that we have a promotion to get 15% off patio sofas. Now, how do we want to complement that phrase with emotion? It’s important to know what your subscribers respond to best. If you don’t have that information readily available, then we’ll find what’s most contextually relevant in this given scenario. People in the market for patio sofas probably lead active social lives so they can invite their friends for a BBQ. 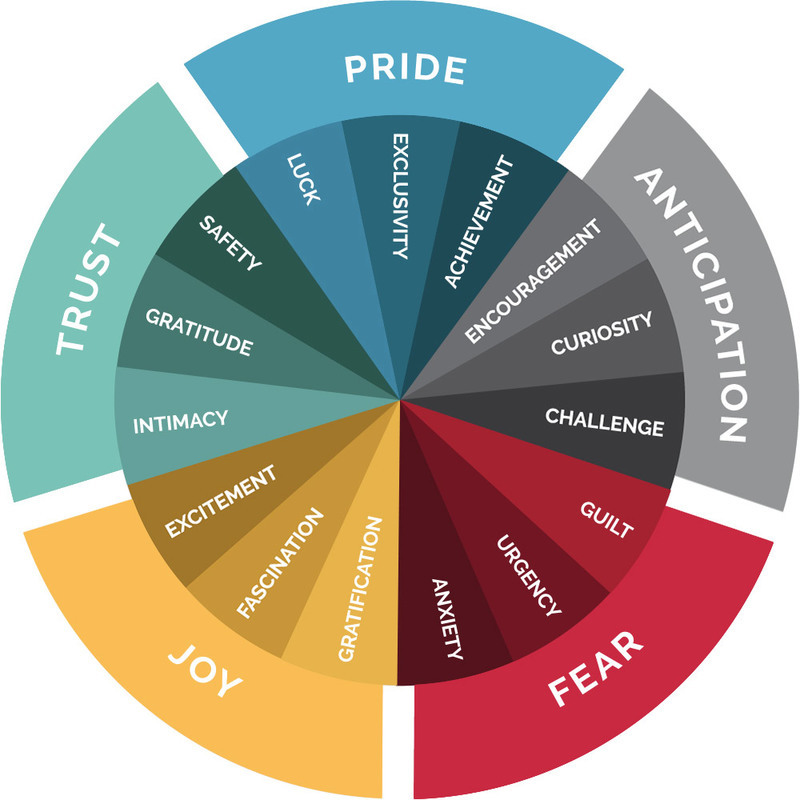 After looking over the Wheel of Emotions, which emotion would you choose that would resonate with that type of clientele? There is no right or wrong answer really. However, for the sake of this example, how about something from the Pride segment? End: patio sofas at 15% off. You want to finish off your message with an attention-grabber that will hook the reader to continue reading the rest of your message. As mentioned earlier, this statement is short, punchy and attention-grabbing. Not many brands do this and it’s a shame. Done right, this strategy can get an email opened. Once again, this is an area where many brands resort to using urgency-based language. Although Urgency performs a bit better when it is at the beginning, there are more worthwhile emotions for us to try. Note: If you must insist on using urgency-based language, try to avoid using values like “last chance,” or “ends soon.” According to our findings, there are other ways of phrasing Urgency that work better. One method that we have seen work is to try taking one of the common phrases and change it up a little. We have seen a value like “open this soon” perform well. Make sure the short phrase you use at the beginning is contextual and doesn’t read too long. Going back to the wheel, which emotion would you choose? Again, there is no right or wrong answer here, however we have seen emotions out of the “Trust” category perform well. Now, our subject line is complete. Once you feel you have a good grasp on things, you can get creative by rearranging the elements or breaking down the components even more! This is a great start! According to Persado Predict, this subject line will receive a 9% uplift in open rates. This will help contribute to a campaign that nets the company, which has an email list size of 1 million people, $90,000 on that one email, a 33% uplift. Sofa so good. Using these very same principles, Persado has seen a 49.5% average lift in conversions and generated $1 billion in incremental revenue across 17 industries and 30 countries. And our data-driven mindset and methodology extend to social media, display ads, websites and more. Seeing messages this way will make it easier to plug and play values to really optimize on what you already have. The key here is to test values to find out what really works and be diligent about it. After all, the father of advertising David Ogilvy said “Never stop testing and your advertising will never stop improving.” If this is something that you want to incorporate for your business and you don’t have the patience to A/B test for actionable insights, then fill out the form below to get a demo.